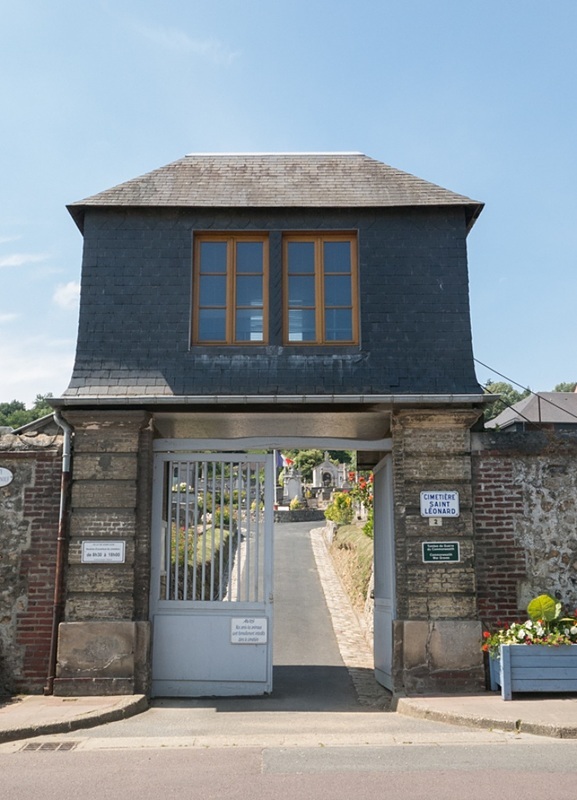 Honfleur is a town and port on the south side of the estuary of the river Seine, 58 kilometres north-east of Caen. 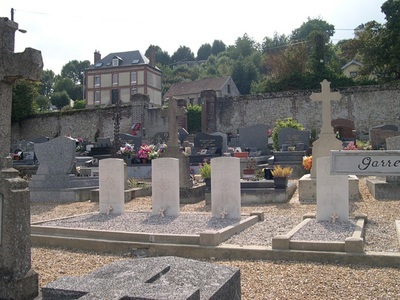 The Cemetery is south-east of the town centre, in the St Leonards district. 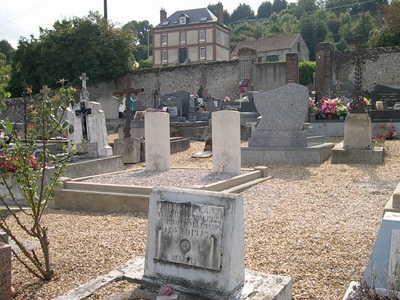 The main entrance to the Cemetery is in the Rue Emilie Renouf, a continuation of the Rue Saint Leonard, which heads east from St Leonards Church. There are 7 Commonwealth war burials of the 1939-1945 war here, plus 1 non-world war burial, in two plots, 20 metres from the rear (south-west) wall of the Cemetery. 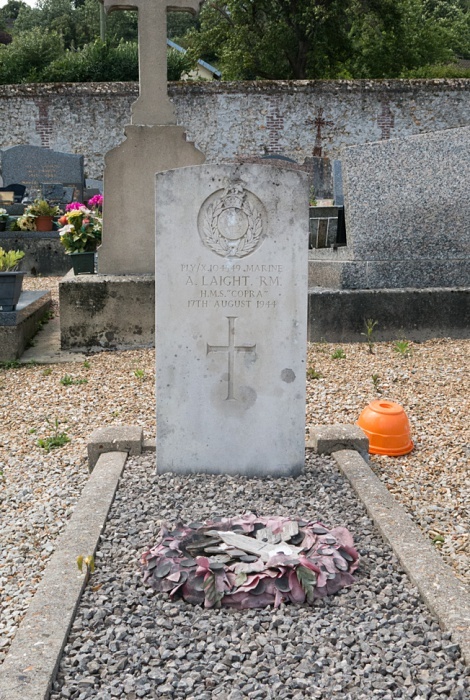 14618205 Private Kenneth Albert Amis, 12th (Airborne) Bn. Devonshire Regiment, died 25th August 1944, aged 19. 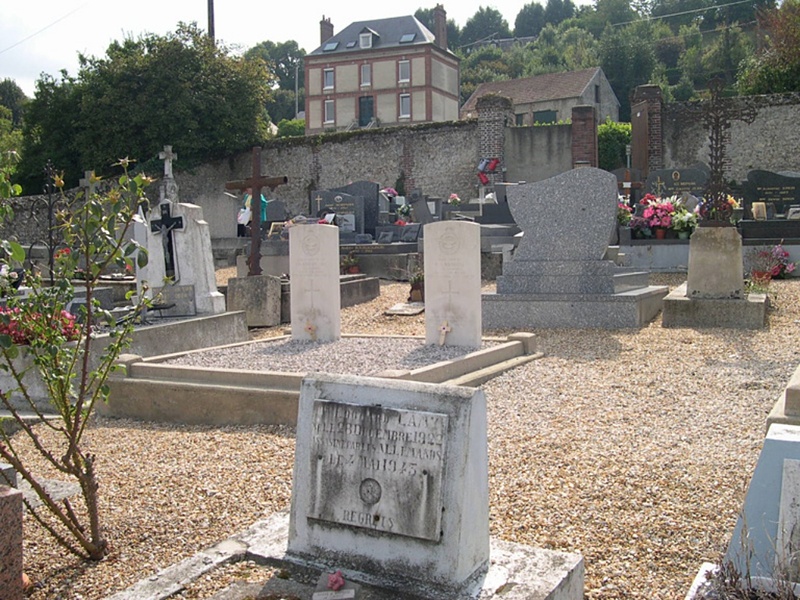 Son of Albert Edward and Lena Violet May Amis, of Muswell Hill, Middlesex. 779475 Gunner Thomas Edward Hill, 23 Bty., 8 A.A. Regt., Royal Artillery, died 25th March 1940, aged 31. 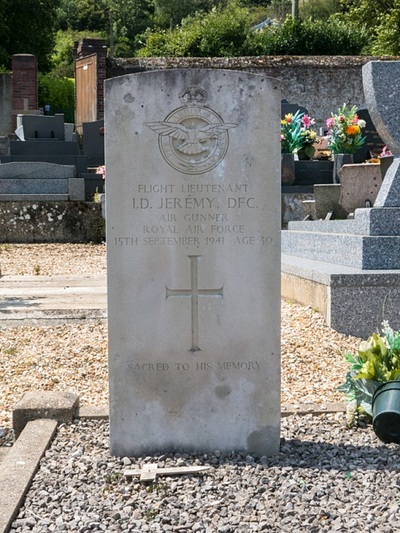 77965 Flight Lieutenant Ithel David Jeremy D. F. C., Air Gunner in 305 (Polish) Sqdn, Royal Air Force Volunteer Reserve, died 15th September 1941, aged 30. 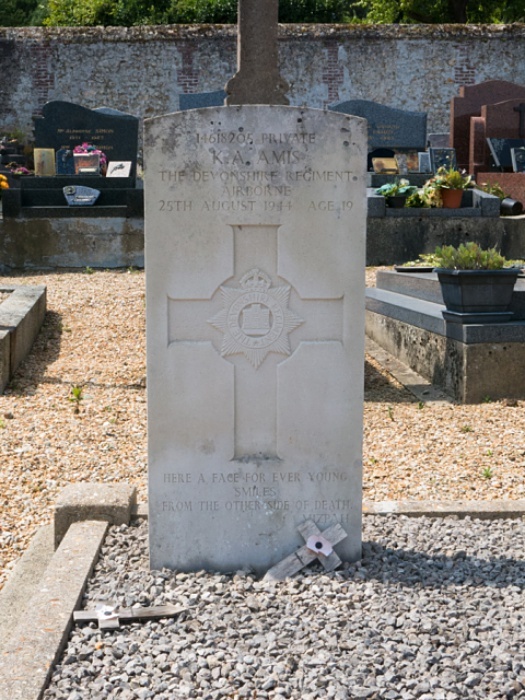 Son of Thomas and Jessie Jeremy, of Pontypridd, Glamorgan. 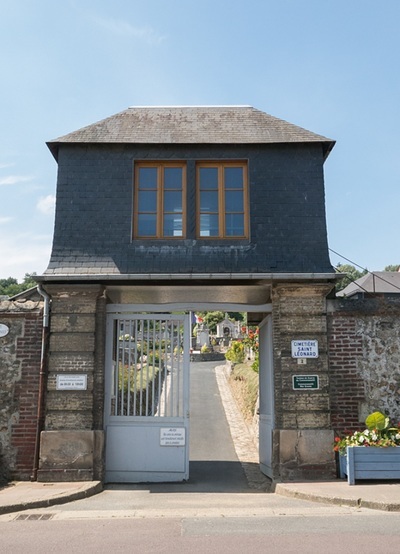 L.L.B. PLY/X 104549 Marine Arthur Laight, H.M.S. 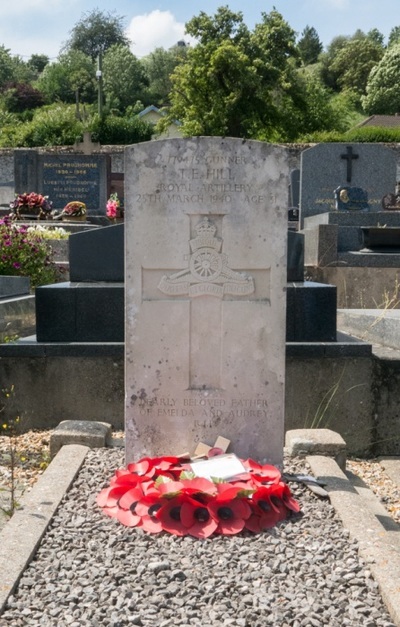 Copra, Royal Marines, died 17th August 1944. 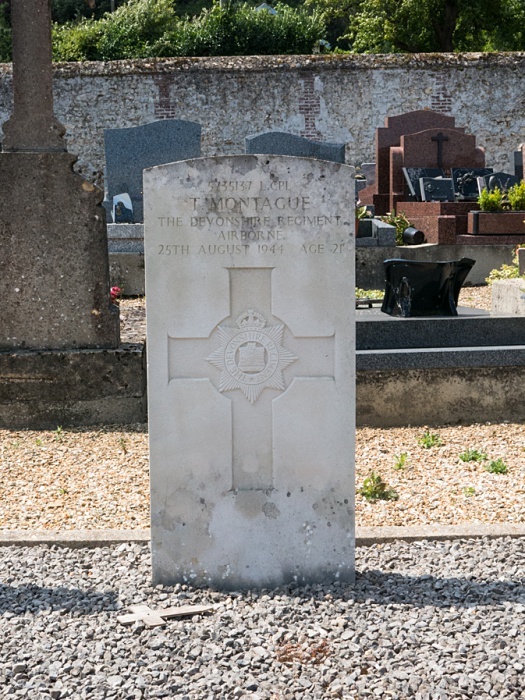 5735137 Lance Corporal Trevor Montague, 12th (Airborne) Bn., Devonshire Regiment, died 25th August 1944, aged 21. 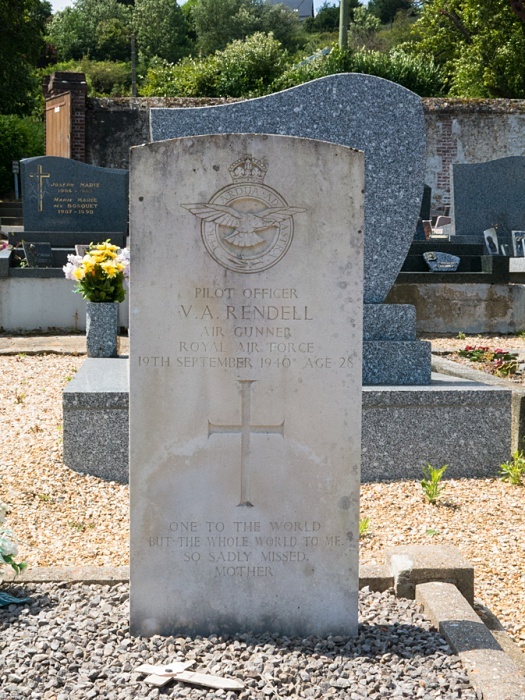 77040 Pilot Officer Victor Arthur Rendell, Air Gunner in 83 Squadron, Royal Air Force Volunteer Reserve, died 19th September 1940, aged 28. 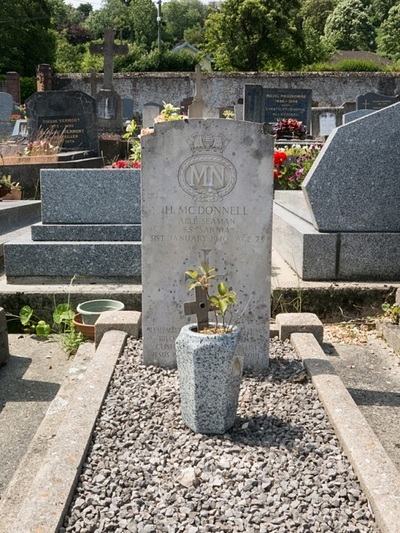 Son of Arthur Rendell and of Maud Rendell, of Shoeburyness, Essex. 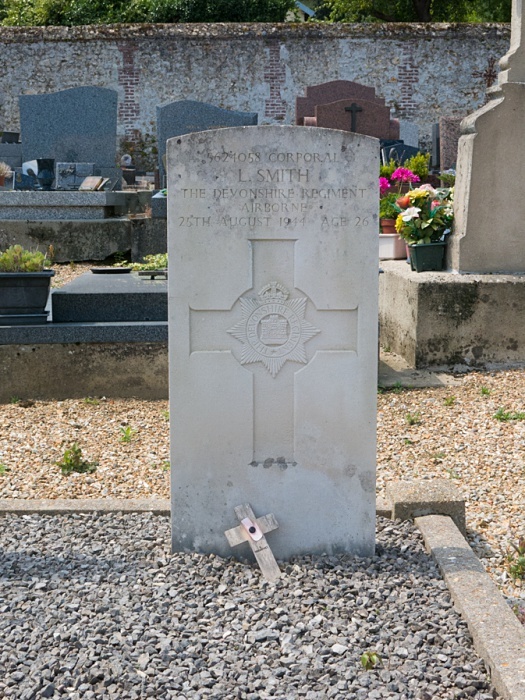 5624058 Corporal Leonard Smith, 12th (Airborne) Bn., Devonshire Regiment, died 25th August 1944, aged 26. 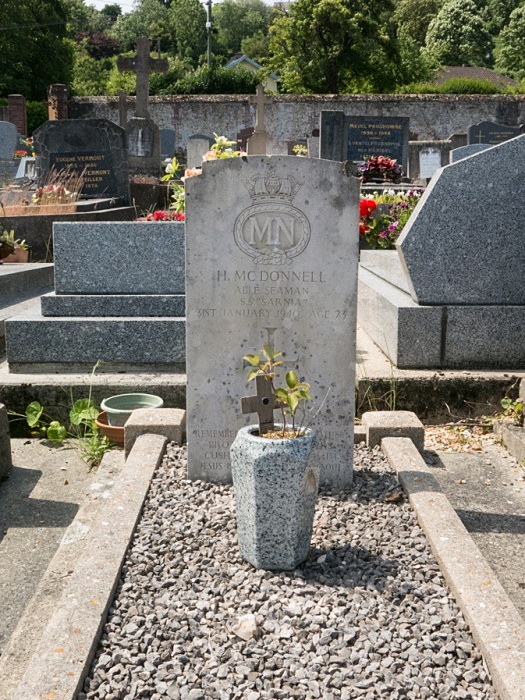 The non world war burial is Able Seaman H McDonnell of the Merchant Navy who served on the S. S. Sarnia who died on the 31st January 1940.